Major culprits are makeup, soap and fabric conditioner residues from your swimwear, hair gel, body lotion and general muck off your body. Obviously you shouldn't introduce these things into the water in the first place, but inevitably you will and so they need to be removed. How? By using a shock product, not an antifoam. 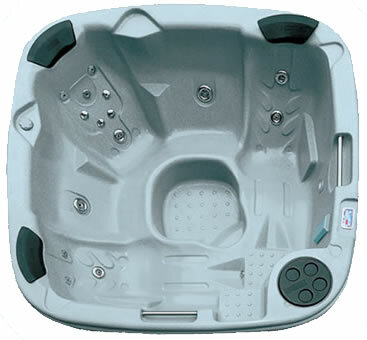 An antifoam will stop the foaming temporarily, but it won't remove the cause of the problem and your water will quickly become dull and lifeless. There are other causes of foaming too - low calcium harness and poor pH control - but it's far more likely to be cause by something that you've inadvertently introduced into the water, so get rid of it and all will be well! What can be done to cure foaming? Use a scum absorber to collect oily residue from the surface of the water. Use a shock product to remove dissolved organic matter from the water. Be careful what you introduce into the water - wash off makeup, hair and body products before you get in - and who needs a swimming costume? 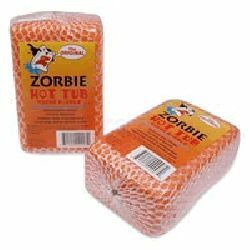 Zorbie is designed to absorb contaminants and to reduce foaming in your hot tub.